Vintage 1977 Carlos Reutemann - Ferrari 312T2 - Grand Prix Italy - Monza. 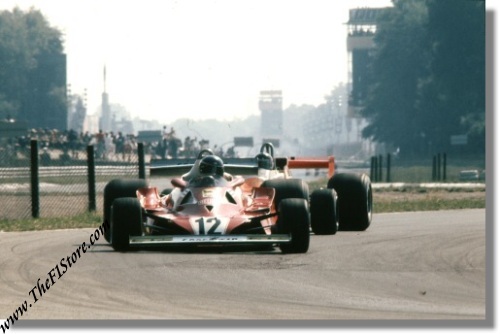 This is an original 1977 color slide of Carlos Reutemann in his # 12 Ferrari 312 T2 enroute to a DNF in the 1977 Italian Grand Prix at the Autodromo di Monza. Carlos would spin out of the race in lap 39 while in 3rd place.